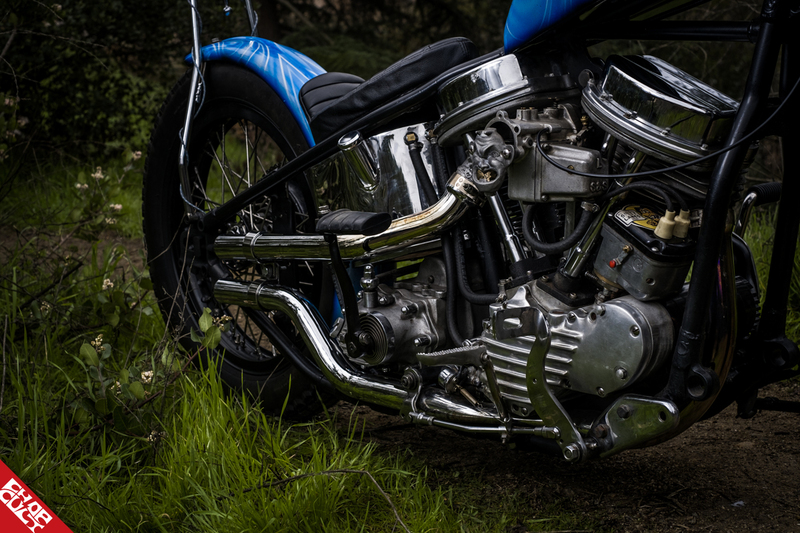 ‘A labor of love,' I think is the best way to describe the relationship between Fredo Oresto and his ‘48 Panhead. As any of us that have gotten ourselves involved in choppers knows, they can really test your patience. But, the reward for these headaches tends to make all of the roadside repairs and late night troubleshooting worth your while. 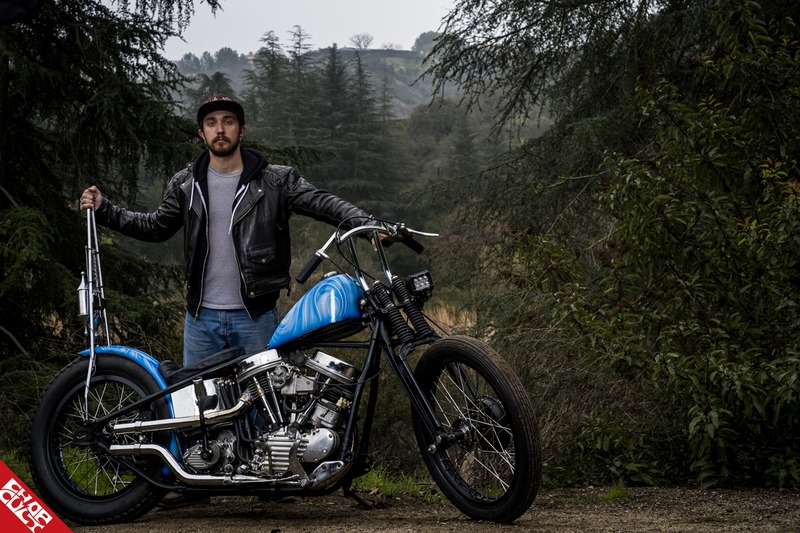 Fredo will tell you this bike build really tested him, with multiple frame issues, motor rebuilds, and engine mounts cracking. 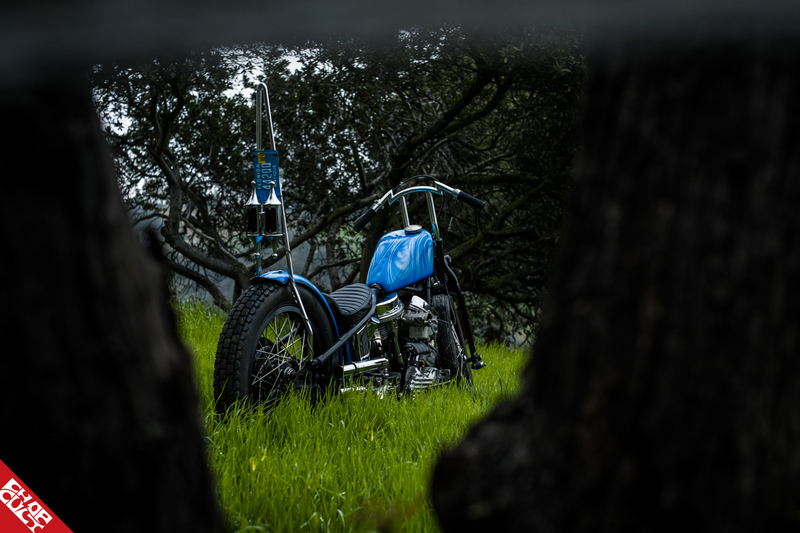 This is why I think determination is the difference between a finished bike and a project for sale on Chopper Swapper. Even then, sometimes the bikes win. 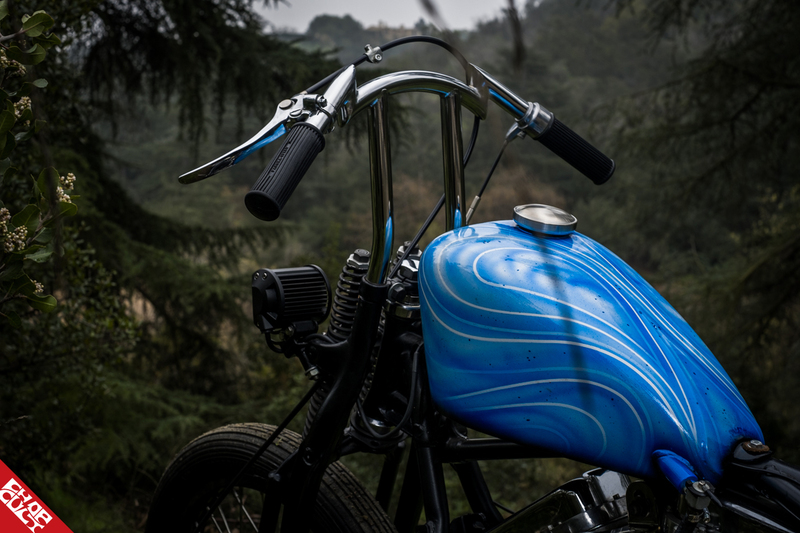 I am so glad to see this bike finished and I spent a lot of time admiring it at Chopper Fest. So when Fredo agreed to let me do a feature on it I was ecstatic. A real treat was being able to see Spagetty a.k.a. 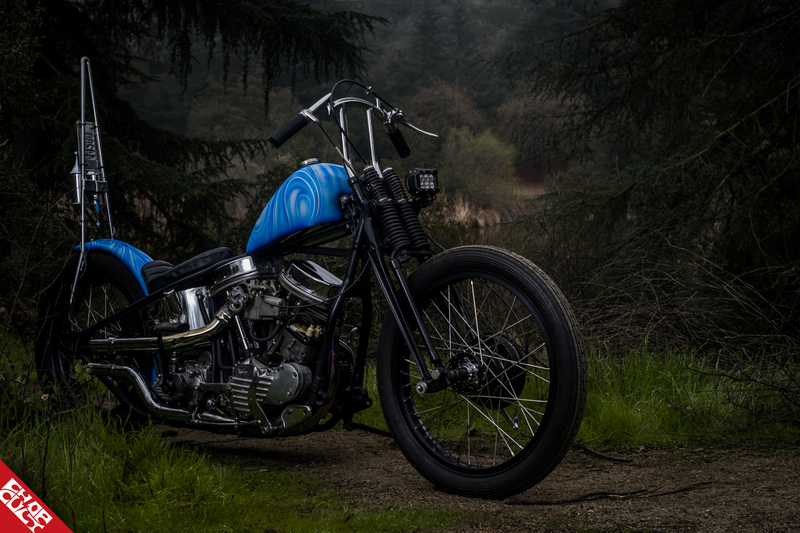 Spencer Getty’s work on a bike after he had taken a step back from painting. 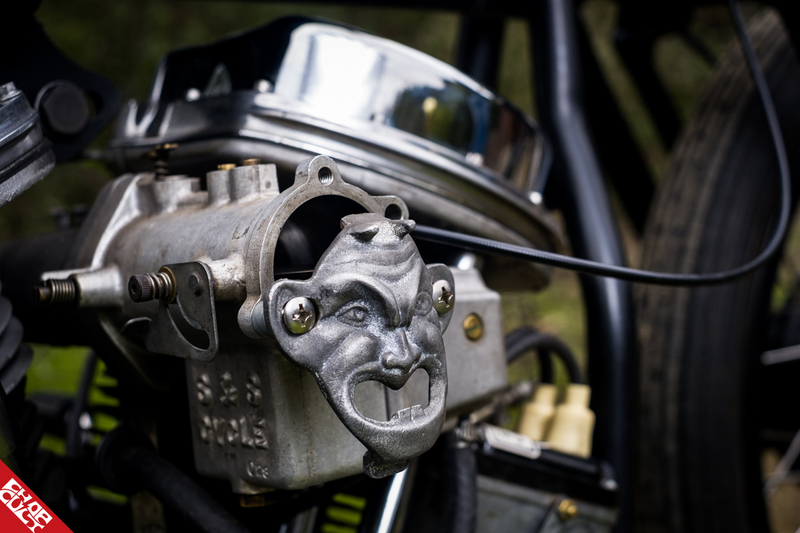 Fredo told Spencer to just go for it and I think the result is an amazing piece of art that is both original and stylish, that also perfectly compliments the build. It is a challenge to ride next to this bike and to keep your eyes from drifting over to admire it. Thanks, Fredo, for hanging out and putting up with the wet roads and pesky park rangers. Next modification will be: I have another VL fork leg I will have extended and will swap out the frontends when finished. Any building or riding story or info you'd like to include: I wish I had a dollar for every time this build kicked me in the balls; I’d buy another bike. I had to have the frame straightened twice (the second frame, the first one ended up being a wash), the heads rebuilt because the valve collars didn’t have proper clearance and I was bending pushrods, the front motor mount cracked, and had to be repaired, problems over and over again, but now it is done and I’m looking for a new headache. All it takes is money, right? That is a beautiful scooter. Congrats.